"TOROBAKA" Opened the Programme of DIAGHILEV. P.S. 2015 — Diaghilev. P.S. The dance Torobaka, premiėred last year in London, opened the programme of DIAGHILEV. P.S. 2015. This performance is a grasping and powerful male duet embodied by the authors of the play: one of the leading choreographers of flamenco, the Spanish – Israel Galván, and a well-known British choreographer, an unequalled master of Indian classical Kathak style – Akram Khan. Both masters are known for their innovative choreography and exquisite dancing technique. Multi-award-winning both Israel Galván and Akram Khan are some of the most established and respectable artists in the world of ballet. Their collaboration feels as much like a duel as a duet. Flamenco and Kathak are extraordinary bright dance traditions which stem from the depths of the centuries. Each movement is imbued with associations, full of meaning and imagery. First of all, this is a dialogue and an exchange of ideas. The name of the performance is the connection of two words, emblematic of animals sacred to the two nations: bull (toro) and cow (baka). Torobaka presents the art of dance as a universal language spoken by different ethnic cultures. Any meeting of kathak and flamenco is a fascinating prospect, in that the two dance styles are already, to some extent, fusions of each other. It’s reckoned that, almost a thousand years ago, Romani emigrating from India to southern Spain, via Persia, brought with them similar Persian influences to those that the Mughals in turn brought eastwards to northern India. Which would explain why the two schools both hinge so conspicuously on similar tropes: foot-stamping, complex rhythmic patterns and proud carriage. 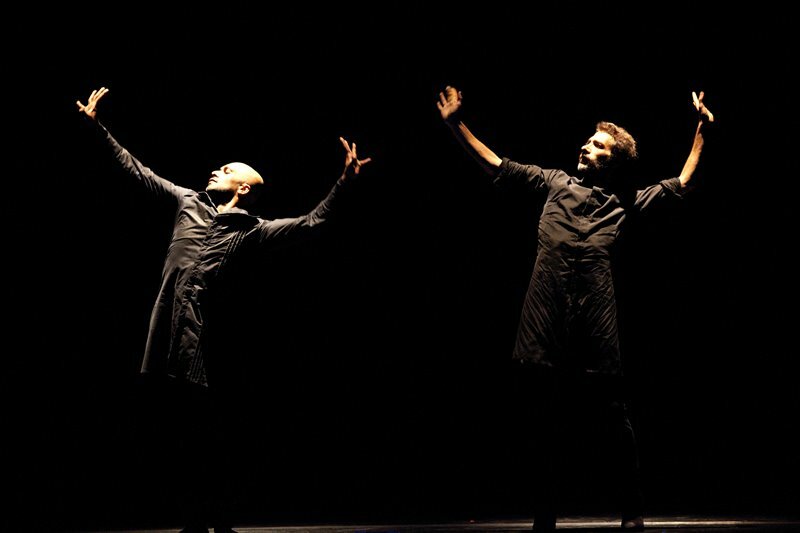 Israel Galván and Akram Khan. This is what it is about, dancing without compromise and for the audience to go on perceiving it as art. Stamping out a dialogue of percussive rhythms – Khan barefoot with jangling ankle bells, Galván in heeled flamenco shoes – the two men look as though they won’t give up until one of them falls, exhausted, to the floor. They circle each other, arms whirling, foreheads pressed together, hands sometimes clamped over the other’s mouth to silence their chanting voices, if not their feet. 2012 - 2019 International Festival of Arts "Diaghilev. P.S."